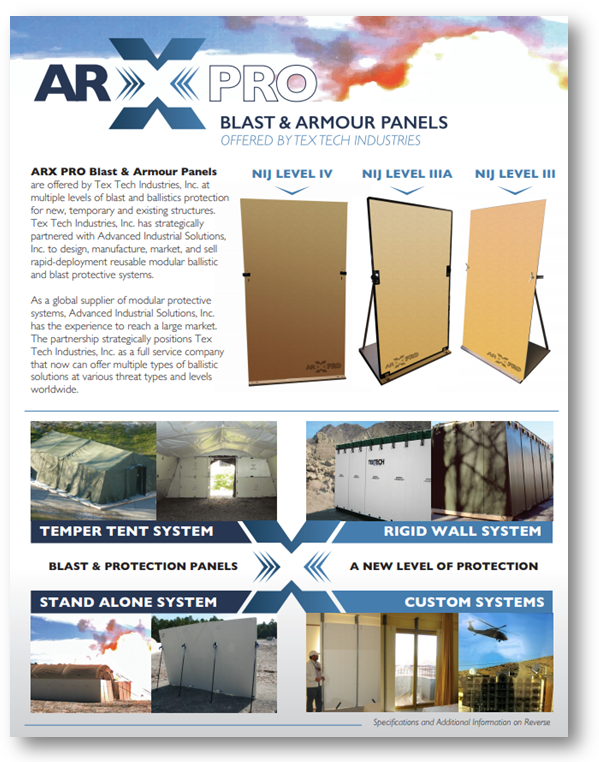 The ARX-PRO Blast & Armour Panels offers multiple levels of blast and ballistics protection for new, temporary and existing structures for Military and Commercial use. Learn more about how our system easily out performs other defensive barriers in terms of durability, redeployment, space optimization, and transportation method availability. 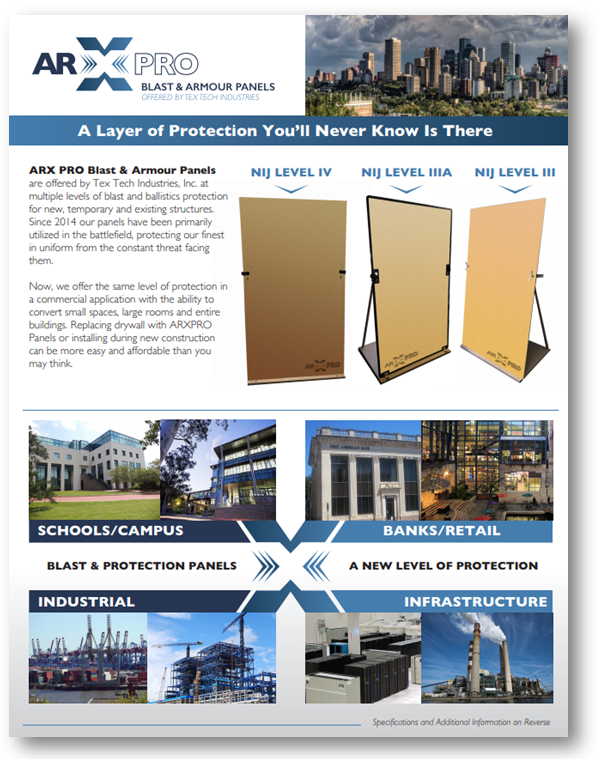 For your reference, we have provided two downloadable offers of our ARX-PRO Military and Commercial Sheets, which you can access by filling out the form on this page.